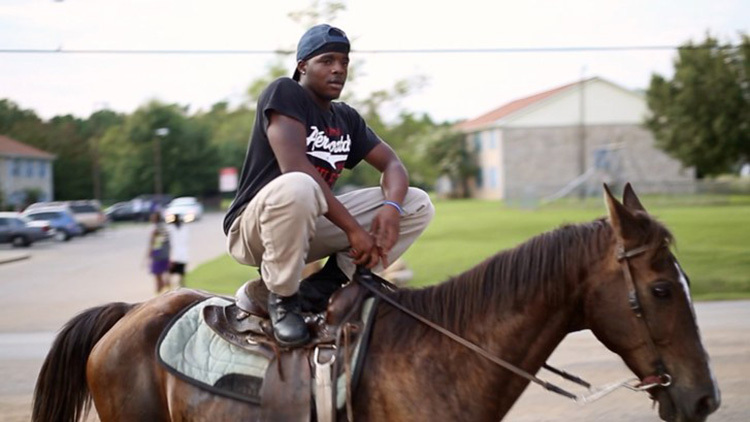 “Hale County This Morning, This Evening” — My favorite documentary of the year, from filmmaker and ethnographic photographer RaMell Ross, plays like a cinematic tone poem for the South. Ross follows two young Black men, Daniel and Quincy, and introduces us to their families and friends in Hale County, Alabama. Since the film relies on hazy, handheld cinematography and lacks a conventional narrative arc, it ditches the traditional “stories of struggle” framing that define so many docs in favor of a meditative, immersive experience. This is gorgeous and uncompromising art-making. “I Am Not a Witch” — This satirical fairy tale was my favorite among four international Oscar selections at this year’s 2018 Fresno Film Festival. In her feature debut, UK filmmaker Rungano Nyoni tells the riveting tale of Shula, a child confined to a traveling witch camp in Zambia. The cinematography is striking, the moments of black comedy are shocking in their illustration of cultural insensitivity, and the abrupt and heartbreaking ending was a stunner. 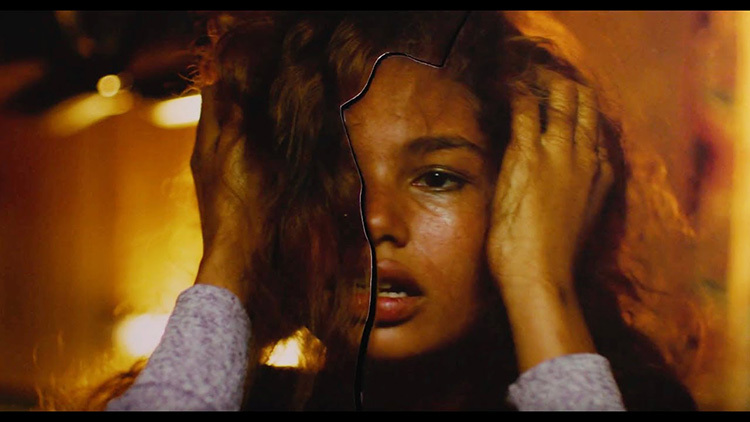 “Madeline’s Madeline” — Hands down, the most innovative and risky film I saw in 2018. Filmmaker Josephine Decker and cinematographer Ashley Connor throw the audience deep into the chaotic and creative world of Madeline, strikingly played by acting newcomer Helena Howard. Madeline is a teen struggling with an undefined mental illness, home troubles with her mom, and the controlling demands of the director of her community theater troupe. From start to finish, Decker and Connor never really reveal whether we are seeing reality or what’s somewhere inside reality. “Roma” — I’ve been a fan of Mexican director Alfonso Cuarón’s movies since “Y Tu Mamá Tambien” hit art-house screens nearly two decades ago. His latest is his very best yet—the moving story of Cleo, a Mixteco maid for a middle-class Mexican family in the Roma neighborhood of Mexico City. Cuarón shows a high level of visual ambition, shooting the film on a large format, 65mm digital camera. Because of the camera’s size, most of Cuarón’s black-and-white shots are graceful, sprawling pan shots, which gorgeously (and sometimes devastatingly) illustrate Cleo’s version of Mexico. “You Were Never Really Here” — The most terrifying movie I saw in 2018 was this unorthodox crime drama from Scottish master filmmaker Lynne Ramsay. Starring Joaquin Phoenix as Joe, as a ruthless hit man who rescues trafficked girls, the film’s editing and sound design are true filmmaking marvels: The catastrophic and brutal violence that Joe enacts on his subjects is always lurking, just off camera and just out of earshot, yet his emotional frailty and his tenderness for his rescues are front and center. “Widows” — Filmmaker Steve McQueen, director of “12 Years a Slave,” takes on an adaptation of the 1983 British TV series, setting it in Chicago. McQueen also co-wrote the script with Gillian Flynn (“Gone Girl”). 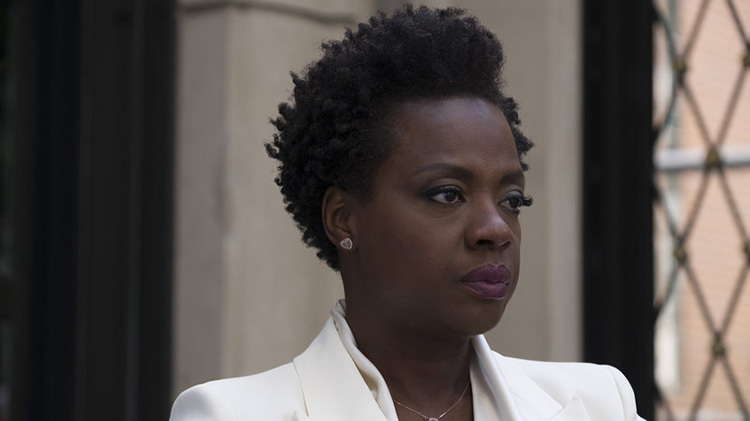 Looking at this year’s likely Oscar nominees, particularly in acting, I’m disappointed to see “Widows” not getting its due. Viola Davis is incredible as always, but Daniel Kaluuya should be a lock for a Best Supporting Actor nom, and Cynthia Erivo really stands out among a stacked cast. 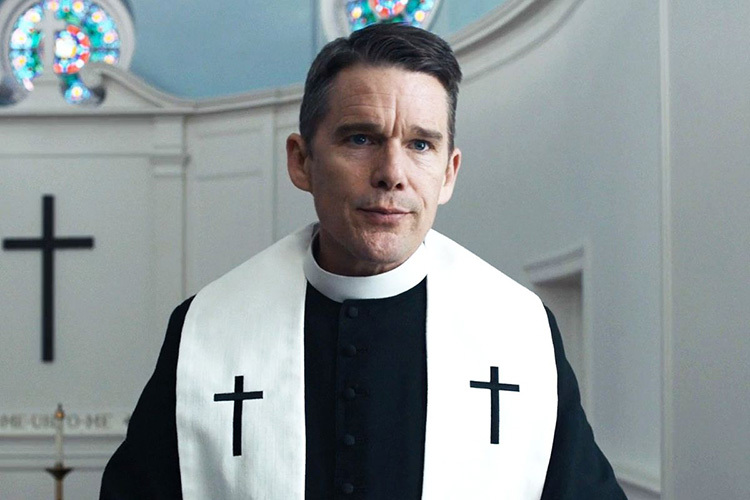 “First Reformed” — “Who’s going to stand up and save the earth?” This question, from a song by Neil Young, summarizes the crisis of conscience (or of faith) faced by Ethan Hawke’s Reverend Toller. “Will God forgive us?” he asks, “for what we’ve done to this planet?” Some of the most memorable images of the year in films, for me, came from “First Reformed.” One of the wildest films of the year. I don’t know what to compare it to. Hawke should win Best Actor this year. 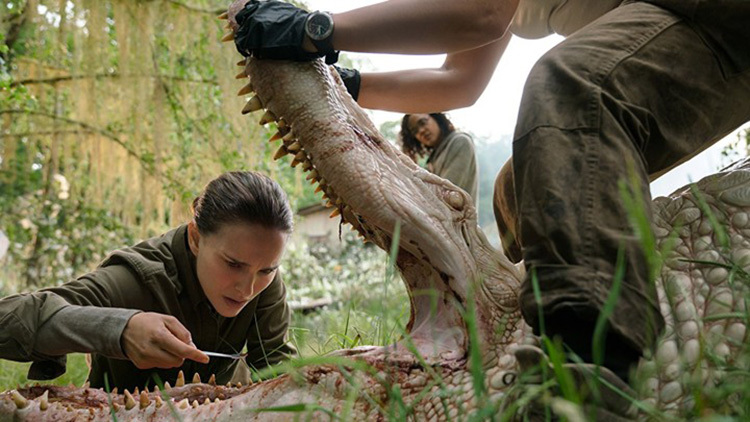 “Annihilation” — A great theater experience, where I didn’t know really what to expect, and by the film’s climax, I was stunned. “The shimmer” is beautiful and terrifying. The cast is top-notch. Natalie Portman, Jennifer Jason Leigh, Tessa Thompson, and Gina Rodriguez are all great. For filmmaker Alex Garland (“Ex Machina”), it’s only his second directorial effort, and he’s already given us two of the best sci-fi films of the decade. This should at the very least earn a Best Original Score nomination! “Shoplifters” — From Japan, the 2018 Palme d’Or winner at Cannes (and Fresno Filmworks’ December film) was absolutely heartbreaking and enchanting throughout. I’ve watched it twice so far; both times, I’ve thought it about constantly for days afterward. “Mission: Impossible – Fallout” — Tough choice, but when I thought about the best theater-going experiences of the year for me, this was definitely at the top. Tom Cruise one-ups himself in every new M:I with real, insane stunts. This time, it was the HALO (high altitude, low opening) jump that he actually performed. Oh yeah, and there’s a shot that was used in the film showing Cruise actually breaking his foot and getting up, running, and continuing the scene. In a turn of events that perfectly encapsulates 2018 movie watching, I planned to login to my MoviePass app to see my viewing history, but the app wouldn’t work. To the best of my recollection, here is my Top 5, in no particular order. “Madeline’s Madeline” — Unlike any film I’ve ever seen before, the ethereal and dream-like sequences throughout and the final 20-minute climax are some of the best filmmaking I’ve ever seen. I’m looking forward to seeing what else newcomer Helena Howard has up her sleeve. “Eighth Grade” — There are films that tell stories about experiences we’ve never and will never have and there are films that perfectly encapsulate what it’s like to live. “Eighth Grade” was the latter for me. Gentle yet powerful, this movie didn’t have to exist, but it’s better for the world (and the kids who were able to see it despite its R rating) that it does. “Incredibles 2” — Director Brad Bird recently said, “This is not a kids movie!” and that’s true. A fun-for-the-whole-family kind of film, but also an astute commentary on society’s view of women (especially motherhood), the downsides of our unstoppable consumption of media, and even immigration (Superheroes are called “illegals”? Oh my!). If we need to keep producing Pixar films, can they be more like this one? “The Guilty” — A visceral gut punch and a standout as the closing film of the 2018 Fresno Film Festival. Jakob Cedergren was able to produce an incredibly thrilling performance that tops most “one-actor” movies. “BlacKkKlansman” — Expansive mountain ranges. Close-ups of black faces fading in and out. Gliding dolly shoots down a long corridor. There are some filmmakers (like Spike Lee) who are a joy to watch because they have a style that is so quintessentially theirs. Wonderful performances from John David Washington, Adam Driver, and Topher Grace were delightful to watch from start to finish. A film like this is meant to make you question, and I think it succeeded. I started out with a long list of good films from 2018, but applied my rule of great films — Would I want to watch it again? — to narrow down the list. “First Reformed” — Painful at times to watch, this Paul Shrader film about a tortured preacher features an inspired performance by Ethan Hawke. “Sorry to Bother You” — Boots Riley’s directorial debut entertains while it tackles some serious social issues (white supremacy/racism and economic injustice, to name just two). “BlacKkKlansman” — Were it not inspired by a true story, this Spike Lee movie would have been unbelievable. “Shoplifters” — Fresno Filmworks’ December movie enthralled me both times I watched it. It definitely merits a third viewing! “RBG” and “Won’t You Be My Neighbor?” — These two feel-good documentaries remind us that America has been great, and it shows us how we really can continue to be great. “Annihilation” — A group of military scientists journey to the heart of the abandoned and mysterious Area X to observe “The Shimmer’ and the widespread mutation it causes. I am a huge fan of Jeff VanderMeer’s writing, so when I heard the first novel in his Area X trilogy was being adapted, I was already sold. The adaptation doesn’t disappoint. “Sorry to Bother You” — Oakland-based Cassius Green gets a telemarketing job and discovers a talent he has to achieve great success—if he can reconcile his employer’s increasingly menacing agenda. Weird, wonderful, and socially conscious. “Madeline’s Madeline” — Madeline, a high-school student with a tremulous family life, joins a rigorous dance/theater troupe and gains a trusted mentor who begins to probe her mind for artistic inspiration. “Support the Girls” — A sports bar with curves and a manager on the edge. Hilarious and poignant. A perfect portrait of the pains of customer service, mutual manipulation, and dead-end jobs. “Shoplifters” — A family of shoplifters make a fateful encounter with a little girl freezing on a balcony and discover the challenges of a chosen family. Simultaneously gut-wrenching and heart-warming. Honorable Mentions: “Shirkers,” “Oceans 8,” and “Paddington 2.” I’m really looking forward to “Roma” (I want to watch it in theaters!) and also “Burning” at the Tower Theatre on Jan. 11. “Blindspotting” — Hamilton’s Daveed Diggs teams up with his lifelong friend and fellow Oakland native to write and star in this gritty, compelling story about friendship, loyalty, love, and the struggle to do what is right. Fans of Diggs’ skill as a rapper will especially never forget the final moments of the film. “The Wife” — How many women subjugate their brilliance to men? How many women are king makers? This thought-provoking film ponders these questions. The master-class performances and complex relationships kept my brain spinning for days. “Crazy Rich Asians” — I love Kevin Kwan’s “Crazy Rich Asians” trilogy, which is why I was worried the film adaptation would disappoint me. Let’s face it, movies rarely recreate the magic of books, so imagine how thrilled I was to fall crazy-in-love with this film. It is hilarious, touching, and filled with enough over-the-top gorgeousness to sweep you away. “Free Solo” — On June 3, 2017, Alex Honnold completed the first-ever free solo climb of El Capitan in Yosemite National Park. This spectacular documentary chronicles his harrowing journey up the face of the rock. I left the theatre emotionally spent and in sheer awe of what must be the greatest physical feat ever accomplished. “Green Book” — Based on the true story of a remarkable friendship that navigated barriers of race, education, and culture. Viggo Mortensen and Mahershala Ali give virtuoso performances; in fact, I think Mortensen’s Tony might be one of my all-time favorite film characters. This Oscar-worthy film should not be missed.